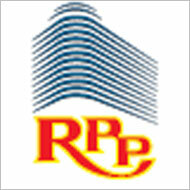 RPP Infra Projects which is aiming to raise Rs 48 crore through an Initial public offering (IPO), has been subscribed 0.64 times on its second day. It has fixed a price brand of Rs 68-75 per equity share for its IPO. The issue will close on November 22, 2010. It has received 4168400 bids against the issue size of 6500000 shares, 2068640 bids have been received at the cut off price, as per the data available on NSE website at 16.00 pm. The issue would constitute 28.76% of the post issue paid-up capital of the company and the net issue would constitute 26.99% of the post issue paid-up capital of the company. The IPO comprises a fresh issue of 61,00,000 equity shares by RPP Infra Projects and an offer for sale of 4,00,000 equity shares by the promoters.